Apple Butter, made in the slow cooker! Use the Recipes-by-Photo Index Page for Fruit to see all the slow cooker fruit recipes that have been featured on this site. I haven’t made apple butter, but when I spotted this recipe for Slow Cooker Apple Butter at Andrea Meyers, all I could think about was how amazing your house must smell during the 10-12 hours that you’re cooking this apple butter in the CrockPot. And when you make apple butter from scratch, you can control what goes into it, making it as sweet or tart as you’d like! 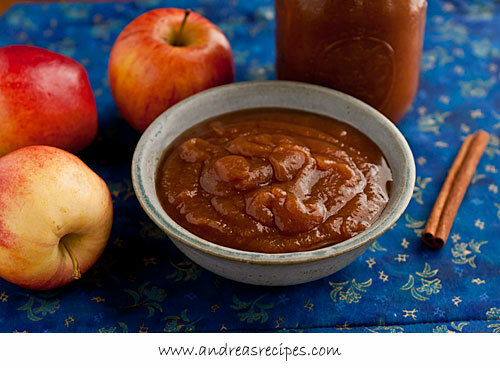 Get the complete recipe for Slow Cooker Apple Butter from Andrea Meyers.